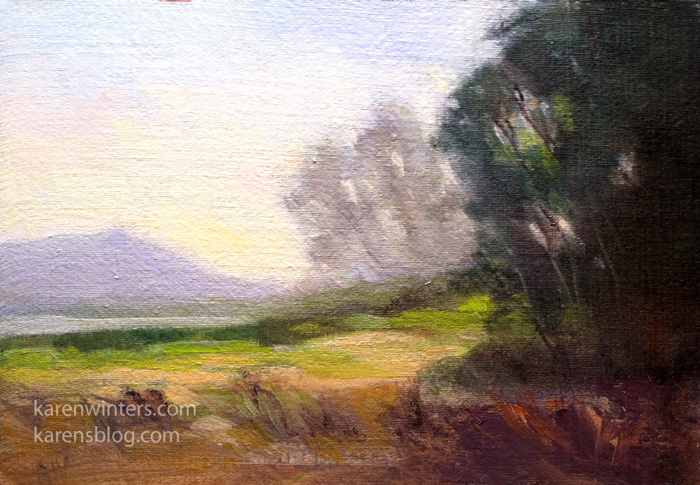 This miniature oil painting features a part of the Batiquitos lagoon near Carlsbad, California. The mist was hanging around the water on this cool day, and I loved the atmosphere it created. Miniatures make great Christmas presents. See more of my small works miniature paintings here. Yesterday, my husband and I went to Carlsbad, CA (in San Diego County) where I fell in love with this beautiful eucalyptus guarding the trail to the Batiquitos lagoon. The tide seemed to be fully in at the time of our visit – late afternoon. This is the second time I’ve painted Batiquitos, and I expect it won’t be the last. Anywhere that there are eucalyptus trees and water is a winner with me. I was surprised to see so much green still in the grasses, considering that it is approaching the driest time of the year. But there was a lot of humidity in the air, so maybe that helps. Here’s a previous Batiquitos painting which was based on a study like the one above. Batiquitos Lagoon is a beautiful wetlands area popular with birders and hikers. We spent the later part of an afternoon there, and can hardly wait to get back for more. 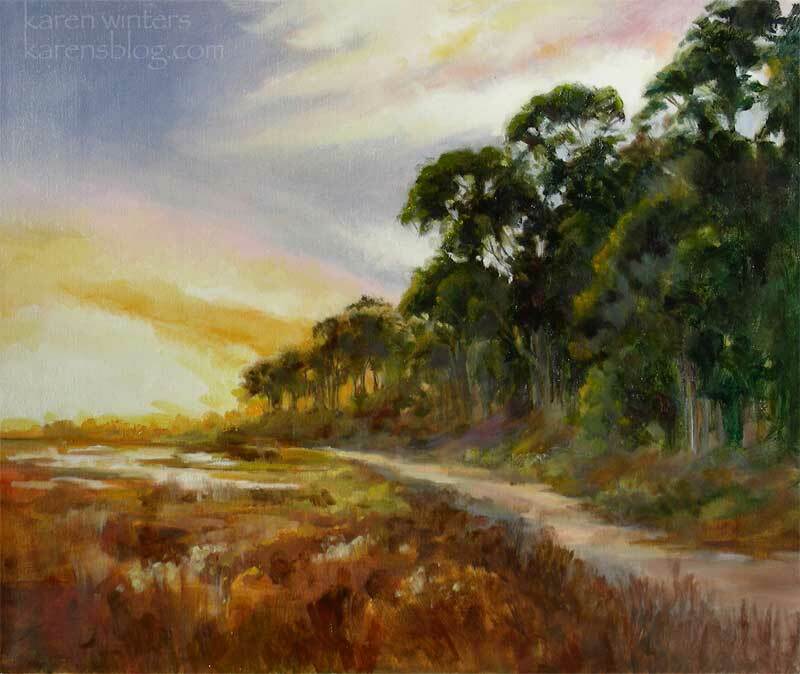 Because the light was changing so quickly, this large painting was not painted on site but was done in studio from my own photo references, on-site observations and field notes. 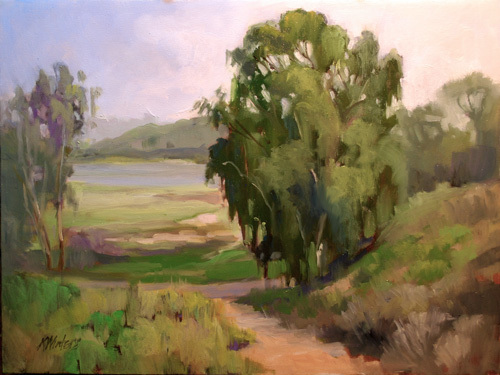 When it came time to name this painting, I first thought of simply entitling it “Batiquitos Lagoon Trail,” but it occurred to me that in these very stressful times something more hopeful and optimistic might better represent the feeling I tried to capture. So it is Brighter Tomorrows, and may yours be brighter with each passing day, too.